The Small Business Jobs and Survival Act, which had been languishing in the City Council for 30 years up until a recent organized push helped get 27 Council members to indicate their support for it, has been blasted by critics as being unconstitutional. What’s interesting though is that no one, not even its stiffest opponents, are giving any reasons why this is the case. We won’t pretend to be legal experts but what we know is this. Owners of small businesses in this city are in desperate need of some bargaining power because right now they have none. At any time, any business that is doing well and meeting the needs of the community it serves could still disappear overnight, whether it’s due to an obscenely high rent hike or a refusal from a speculative landlord to even offer a renewal at any price. We appreciate the effort being made by Manhattan Borough President Gale Brewer on a bill that would at least force property owners to negotiate in good faith with a tenant. However, with the only sure thing in that scenario being a one-year lease extension for a business at a 15 percent rent hike, it just won’t be enough to stem the tide of mom-and-pops being forced out by chains and banks. The SBJSA, however, if passed, would give an existing tenant another 10 years. This would actually make a huge dent in bringing back the stability the city’s retail landscape hasn’t known in many years. On Monday, one of Albany’s former famed three men in a room, Sheldon Silver, was convicted on corruption charges, for a bribery and kickback scheme that netted him $4 million. Part of the scheme involved the Lower East Side pol using his influence to benefit two real estate developers, in particular Glenwood Management, while at the same time positioning himself as being tenant-friendly. He also directed taxpayer money to a cancer researcher while a doctor there steered patients suffering from asbestos exposure to a law firm that paid Silver referral fees. Mike McKee, the outspoken treasurer of TenantsPAC, told Town & Village on Tuesday of this gloomy forecast, predicting things will be as they were before, with the onus on tenants to put pressure of their local elected leaders to make meaningful changes. Otherwise, forget it. Following the conviction, Governor Cuomo promised some ethics reforms, according to news reports. (His office did not respond to a request for comment.) But when T&V asked McKee if he thought the embarrassment of an Albany ex-kingpin facing jail time might make the governor regret his decision to shut down his commission aimed at rooting out corruption, McKee laughed. State Senator Brad Hoylman, however, disagreed with McKee, saying the Silver bombshell might be what it takes to get even his own house, where tenant-friendly legislation goes to die, to pass meaningful reforms. Hoylman said he’s been pushing for an end to this practice since his first year in office. The so-called LLC Loophole is a regulation that allows companies to make political donations for every limited liability corporation they run and real estate developers often have LLCs for each property they own. Earlier this year, Hoylman authored legislation that would make it a class C felony or a public servant to steer grants towards organizations that benefit their families or people they have business relationships with. Assembly Member Brian Kavanagh, who’s been pushing to close the LLC Loophole, did not respond to a request for comment on the Silver conviction. As a result of the conviction, Silver must give up the Assembly seat he’s held onto for four decades. By Tuesday morning, Silver’s official Assembly web page was down. A spokesperson for the Assembly said she’d pass on a request for comment, but admitted she didn’t know who’d be handling Silver-related queries. One of Silver’s trial attorneys, Steven Molo, didn’t respond to a request for comment although he did tell Real Estate Weekly he’d be appealing. 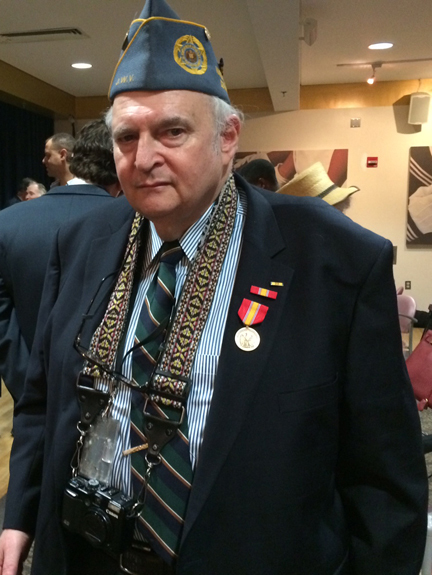 The man was Mark Chanko, at one time a resident of Stuyvesant Town and Peter Cooper Village. His family, who never authorized any filming of his treatment, has sued the hospital, New York Presbyterian, and ABC. Arguments for the case are expected to be heard in September at the Court of Appeals. While there is currently legislation pending at the state level that would prohibit hospitals filming patients without obtaining prior consent, the Council said it was asking hospitals to take that step voluntarily. The Council members wrote a letter that was sent to all New York hospitals asking them not to film patients or allow third parties to film patients for entertainment purposes. Or, if they do, the Council members said hospitals should at least make sure they get prior permission to do so. The letter was also written in response to news that a reality show similar to “NY Med” would soon begin filming at a Boston hospital. 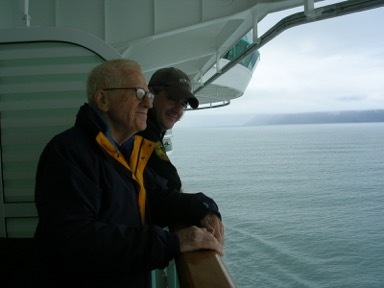 In the “NY Med” episode, Chanko’s face was blurred and his voice altered but those who knew him, including his widow Anita, recognized him immediately when she watched the show. At a press conference at City Hall, she recalled how he’d asked, “Does my wife know I’m here?’ Whoever answered him said, ‘I don’t know.’” Since then, Anita said she’s had the segment featuring her husband pop up in her mind at unexpected moments. At these times, all of the evening’s events play out, starting from when her husband mentions wanting to run to the deli to pick up milk and bananas, to shortly afterwards, when the doorman at the couple’s building in Yorkville told Anita she needed to come downstairs, to then seeing Chanko lying in a gurney that she wasn’t allowed to get near. When viewing the episode, which she said no one from the network or hospital warned her would be aired, she felt like she was reliving his death all over again. When the doctor told her and other family members that attempts to save Chanko were unsuccessful, he hadn’t told them he was wearing a microphone or that the conversation would be part of a show. “We don’t want for this to happen to other people,” said Ken Chanko, Mark’s son, a teacher, who’s also a former film critic for Town & Village. Council Member Dan Garodnick called shows like “NY Med” and its Boston spinoff, “Save My Life: Boston Trauma,” a “crude window into people’s medical care. Last Thursday, Garodnick posted a petition on change.org calling on hospitals to not film patients. As of Monday it was signed over 500 times. At the press conference, Council members also expressed their support for state legislation that would prevent future incidents like the one experienced by the Chankos. Legislation that was authored by Assembly Member Edward Braunstein would create a private right of action for the unauthorized filming and broadcasting of hospital patients. It’s in the midst of some revising, though, with Braunstein explaining that the revisions were in response to broadcast associations’ concerns that some of the language was too vague. “But we’re confident we’ll be able to complete it next year,” said Braunstein, whose district is in Queens. State Senator Liz Krueger, who’s co-sponsoring the bill in the Senate, said there’s no way the presence of a TV camera wouldn’t impact the quality of patient care. “(If a doctor says) ‘we need to get over there,’ and the director says, ‘We need a better shot over there’ — we’re not supposed to have that situation,” she said. A spokesperson for New York Presbyterian previously declined to comment on the Chankos’ litigation. A request for comment on the Council’s letter was referred to the Greater New York Hospital Association, whose president, Kenneth E. Raske, issued a statement indicating his agreement with the Council’s suggestions. To begin to understand the machination of Albany politics especially with the state legislature, a basic understanding of chess is necessary. For they are based on the very same principles. Chess is a game of strategy. Unlike other games, the moves made in chess are often times disguised and not always what they appear to be. First of all, in chess each player starts with 16 pieces. The pieces are of different values and are capable of making different moves across the 64 squared checkerboard. The goal in chess is to navigate across the board using your pieces in different ways to ultimately capture the opposing player’s “King.” Each player knows that in spite of starting out with 16 pieces they will lose some pieces along the way and even sacrifice some pieces in order to position themselves for victory. To some extent that explains why Senator John Flanagan, the newly minted Senate (Republican) Majority Leader from Long Island, is so interested in New York City rent regulations. There are many more important local issues to Senator Flanagan’s constituents and fellow legislators from Nassau, Suffolk or upstate districts. But Flanagan is deftly holding on to the rent regulation issue near and dear to virtually every city legislator in the hopes of trading it or sacrificing it for something more important to his constituents and colleagues in the Senate. Each issue is like a chess piece. Each has a relative importance and each has a value if it is to be given up for something else. No issue stands alone in Albany. Each issue is part of the bigger picture of what can be gained or lost in negotiations. This is probably also true of New York City mayoral control of the public schools which like New York City rent regulations must be renewed. 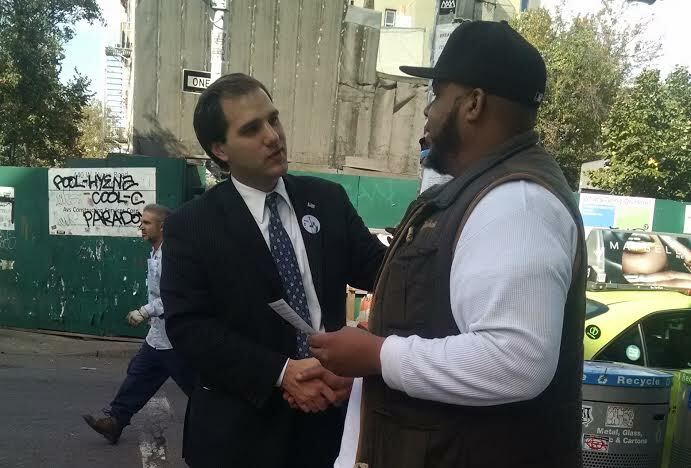 It is very important to New York City politicians. But Flanagan and his mostly suburban and rural colleagues are holding on to both of those issues like a dog and its favorite bone. Senator Flanagan cares much more about upstate property taxes and even some changes to the state’s restrictive gun laws (although that may now be a nonstarter following yet another gun tragedy, this time in a church in South Carolina). Flanagan also cares about upstate economic revitalization issues and even tax cuts to underwrite private and parochial school costs for parents who send their children to those schools or individuals who donate funds to those schools. regulation issue as leverage to procure approval from the Assembly on issues that it is less interested in, but ones that the governor has a great interest. This is the traditional horse trading that has always been part of the Albany legislative culture of getting things done. But this gamesmanship causes great anxiety to ordinary citizens who feel like pawns in the game, especially one million New York City tenants. Rent regulations and protections against eviction or huge increases in rents is a matter of life and death for many apartment dwellers. So my advice to the leadership of Albany is to get this done this week and allow the people of the State of New York to proceed with their lives without the uncertainty and intrigue of Albany machinations. Really, Mr. Cuomo, Mr. Heastie and Mr. Flanagan… this is not a game! Days after the deadline to renew the Rent Stabilization Laws, with no resolution in sight, the state legislature worked to extend the laws for another five days. But rather than offer any detail, the statement then went on to tout the legislature’s passage of unrelated bills such as protections against sexual assault on college campuses and investments in infrastructure. Heastie, however, issued a statement of his own, stressing that the Assembly wouldn’t bend on its efforts to win stronger protections for tenants. The rent law legislation the Democrat-controlled Assembly hopes to pass is wildly different from the package put forth more recently by the Republican-controlled Senate. The Senate hopes to create a database in which tenants would have to verify their incomes. Tenant friendly measures are codifying the Tenant Protection Unit and imposing stiffer penalties on landlords who harass tenants. The Assembly hopes to repeal vacancy decontrol, reform preferential rents, MCIs (major capital improvements) and IAIs (individual apartment improvements) and lower vacancy bonuses. It wasn’t quite the climactic end to another four years tenants were hoping for when at midnight on June 15, the laws regulating rents in New York expired without being renewed or strengthened. The following morning, the talks continued in Albany, though there was no sign that that they’d be concluded any time soon. Part of the reason was that Governor Andrew Cuomo has been hoping to include the passage of an education tax credit in the negotiations, while Senate Republicans also last week passed a set of rent regulation legislation that’s wildly different from the package the Assembly passed in May. The much hyped 421-a tax abatement for developers who include some affordable housing in their projects has also been a factor, but hasn’t been given as much attention as it was expected to get, according to State Senator Brad Hoylman. Hoylman described the tax program, which also expired on Monday, as being “radioactive” to many of his colleagues because of its being “at the heart of the investigations” into corruption in Albany by U.S. attorney Preet Bharara. “It’s understandable that it wouldn’t be a front burner issue,” said Hoylman, adding he wouldn’t be mourning the program’s loss if it isn’t ultimately renewed and that he thinks it ought to be negotiated separately. Last week, thousands of tenants enrolled in SCRIE/DRIE rent increase subsidy programs learned that their benefits may end up getting reduced or eliminated altogether. The notification came by way of letters from the Department of Finance to around 5,700 people. The programs subsidize rent increases that are faced by seniors and disabled people, respectively, who are making under $50,000 and whose rent takes up a third of their incomes. The benefits however could expire when they attempt to renew them, according to Upper West Side City Council Member Helen Rosenthal who said last week she was approached by numerous concerned tenants who didn’t know what the letters they’d received meant. Those letters have since been blasted by Rosenthal as being full of “technical jargon” with little detail, and she and a few other Council members have called on the Department of Finance to rescind them and not send any more until January, 2016. A moratorium, she explained, would give tenants time to plan for any changes. Additionally, “We’re trying to understand what it means as well,” said Rosenthal of herself and her Council colleagues. When she asked the Department of Finance why they were sent, she said she was told that previously there hadn’t been a mechanism to track whether or not recipients’ incomes were in fact one third of their rent, and now there is. With many people enrolled in both programs living on fixed incomes, Rosenthal called the potential hikes, which she said on average would be $86, significant. The following is testimony given by Alvin Doyle in favor of enacting Intro 685, renewal of the NYC rent regulation laws for another three years, on Monday, March 30. Good afternoon. 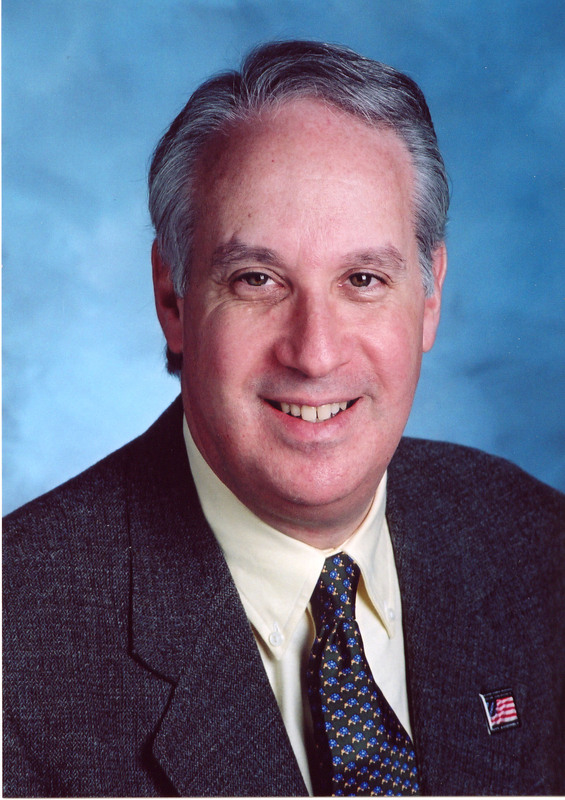 I’m Alvin Doyle, a member of the board of directors of the Stuyvesant Town-Peter Cooper Village Tenants Association and a lifelong rent-stabilized tenant. I’m here to speak in support of Intro 685. Our united developments contain over 11,000 apartments, and we have been ravaged by rapacious owners and others. We see our once-peaceful, stable, and affordable middle-class community being destroyed. Vacancy deregulation is the worm within, slowly, painfully, inexorably eating away at our affordable housing stock. As our neighbors have died or moved out, apartments have been renovated, chopped up to add so-called bedrooms, and stuffed with more adult occupants than they were designed to accommodate or that the infrastructure can support. The rest of the city will soon see this as real estate types seek to add value, as they say, to existing buildings. By manipulating existing regulations, our owners have jacked rents up so high that they are well above market rate. I’m talking about as much as $7,000 for a one-bedroom apartment in a building that doesn’t even have a doorman. Families trying to put down roots regularly find themselves priced out of their homes and their school district. Young people have to submit to dorm-like living just to get a toehold in this town. Mayor de Blasio, you have committed to adding 200,000 affordable units, and we applaud that. We have over 11,000 such units, and it’s far easier to preserve than to build. But we need strong laws to do this. 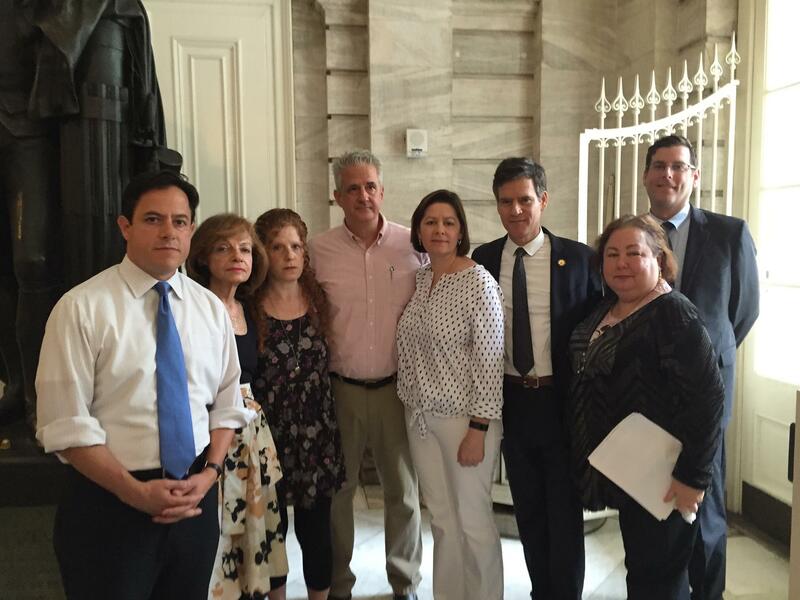 We deeply appreciate your making the case in Albany recently. We need your political and moral leadership now to repeal vacancy deregulation, which makes apartments and communities unaffordable and New York City untenable. 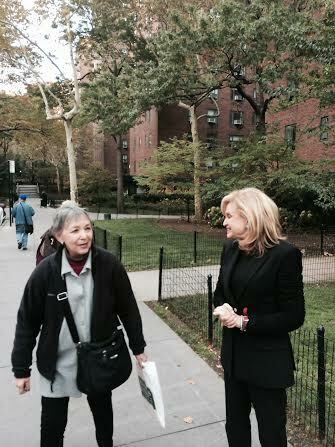 We need to keep rent-stabilized apartments stabilized. No taking them out of the program by jacking up the rents and churning the tenants — no more automatic 20 percent increase every time the apartment turns over because with current landlord practices, they turn over frequently. No more perpetual Major Capital Improvement costs. They should be surcharges, not part of the base rent. Once something is paid for, the cost should go away. It’s outrageous that tenants have to pay in perpetuity for what the landlord can depreciate. Who made that deal? And we need to stop the landlords’ practice of renting apartments for hundreds of dollars less than the legal rent and then ambushing tenants with renewal increases of double-digit percentages. That underhanded tactic is destabilizing our community. There should be room in every borough for New Yorkers at every income level. We can’t allow greedy real estate operators to buy off upstate officials to support their plan to turn Manhattan in particular into an enclave for the rich and absent. We want to keep the lights turned on for everyone so that we can continue to attract the young, the energetic, the creative — and house them. And we want those who have lived here all their lives to know they can stay in their homes in the city they have worked hard in and to which they have contributed so much. For tenants in Stuyvesant Town, getting a notice that one’s apartment is going to be inspected by management or partially torn up by a maintenance crew as part a neighboring apartment’s renovation is a bit like being summoned for jury duty. A disruptive pain, but also an unavoidable fact of life if you want to be law-abiding. 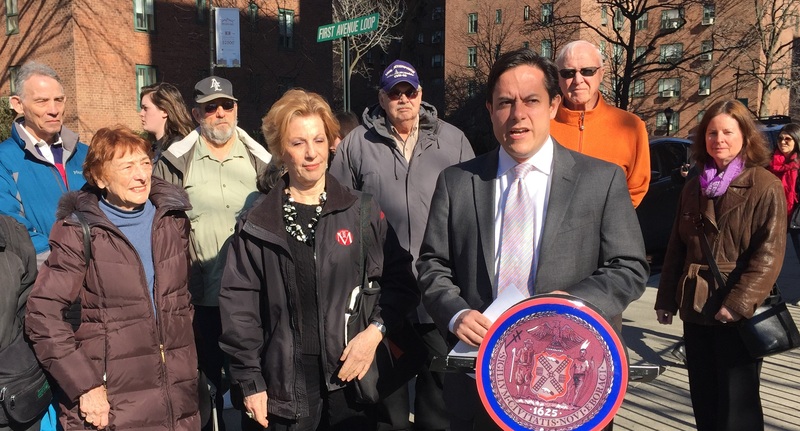 However, this week, Council Member Dan Garodnick said he plans to introduce legislation that would give tenants on the receiving end of such notices more lead time, and more information as to the nature of the work. While owners are allowed by law to inspect apartments or gain access for work the owner deems necessary, there isn’t always much in the way of notice for impacted tenants. On Monday, Garodnick, while surrounded by tenants on First Avenue, said his bill would change this. Currently, the law says an owner must give a tenant 24 hours notice prior to when an inspection is conducted. The bill, if passed, would change that to 72 hours. It would also increase the amount of notice that must be given for non-emergency work, currently one week, to two weeks. Additionally, tenants would have to be notified of the scheduled visits by notices delivered by hand as well as by email, if the tenant has provided an email address. The notices would also have to be bi-lingual and include the reason for the requested entry and how much time would be required in an apartment. The notice would also have to include information about the legislation. “We want to reduce the number of situations where tenants are surprised by an inspection or repair work,” Garodnick said, “and we want to make sure that proper notice is given.” He also noted that some tenants have been upset about not having the opportunity to be present during the appointments. CWCapital has conducted many inspections of ST/PCV apartments in the past couple of years with workers looking at things like appliance types and checking for room dividers, which has led some residents to wonder if those in unrenovated units, paying lower rents, were being targeted. Garodnick said he’s heard these concerns, but has not seen any evidence that would back up such claims. He also said he hadn’t heard of any recent wave of inspections, although inspections are still an ongoing process. Garodnick said the bill would be introduced on Wednesday and that he was drumming up support for it within the Council. He clearly already has some support among neighbors though. One tenant at the announcement, Peggy Smith, told Town & Village she’d twice been notified that her apartment was being inspected. The first time she was told it was for illegal room dividers. “I got very little notice,” she said, but she also recalled being able to reschedule at a date that was more convenient than the date management had originally suggested. But then, after the inspection was conducted, Smith was informed she’d be inspected again. Fortunately for her, when she inquired as to the reason, she learned the notice of a return visit was actually a mistake. Another resident, a retiree who didn’t want her name mentioned, said just this week she was visited by someone claiming to need access to her apartment for an inspection. The inspector came before 8 a.m. when she wasn’t yet fully dressed, so the woman said she refused him entry, explaining that the timing wasn’t convenient. In response, she said he “was very polite” and left. Two days later, she received a notice in the mail that her apartment was to be inspected on Monday, March 16 between 9 a.m. and 4 p.m.
A spokesperson for CWCapital did not respond to a request for comment. State Senator Brad Hoylman (at podium) discusses his legislation in Albany. Amidst growing interest from the media about state lawmakers’ outside incomes and last week’s quick replacement of the longtime leader of the Assembly, Senate Democrats have introduced a package of legislative reforms aimed at cleaning up the Capitol. Mainly, the new bills, which were introduced on Monday afternoon at an Albany press conference, are aimed at capping politicians’ outside incomes, making it illegal for officials to use campaign cash for any criminal defense fees they incur and stripping corrupt officials of their pensions. So far, the Democrats have said the Republican majority has blocked its efforts for ethics reform. However, with the spotlight being firmly planted on state legislators’ outside activities and U.S. Attorney Preet Bhahara’s warning the public to “stay tuned,” some Democrats, like Brad Hoylman, are hopeful this might change. Airbnb, the controversial home sharing listings site, was the subject of a lengthy and contentious hearing on Tuesday that consisted mainly of accusations being traded between politicians and the company’s director of global policy. 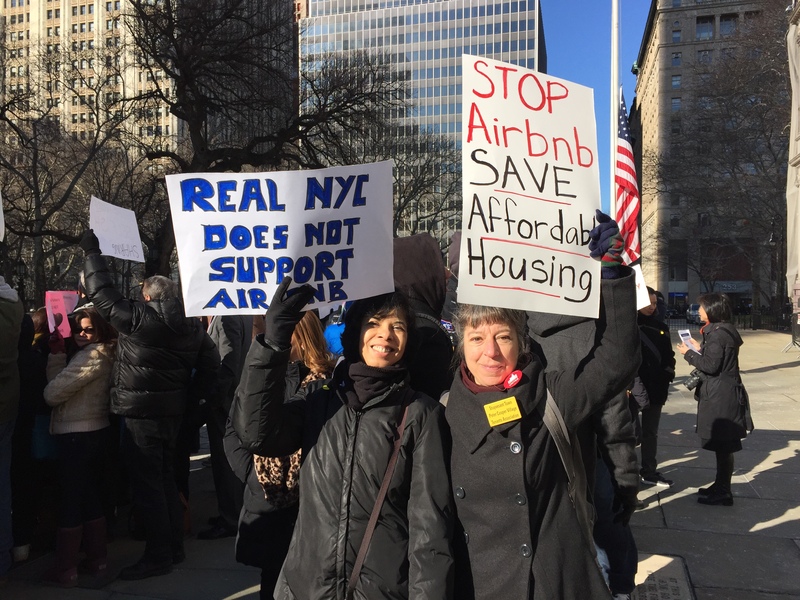 At the heart of the conversation was whether Airbnb was making efforts to comply with state law that forbids short-term rentals in most residential buildings, which the hearing’s chair, City Council Member Jumaane Williams, said he doubted. Meanwhile, Airbnb’s representative, David Hantman, threw in — at every chance he could get — a chance to defend Airbnb users who rent their homes out infrequently, who he said make up the bulk of the service’s users — and asked repeatedly why the law couldn’t be changed to exempt them. Instead, he argued, the law should just focus on “bad actors,” tenants or landlords who regularly rent apartments to tourists for short-term stays, making life hell for neighbors. A couple of demonstrators in that camp were Stuyvesant Town residents Arlene Dabreo and Marina Metalios. Both said they’d seen suspected illegal activity in the community. Also at the event was ST-PCV Tenants Association Chair Susan Steinberg, who’d hoped to speak about illegal hotel operations in Stuy Town, but finally gave up at around 5 p.m. since she had a meeting to go to. At this time the hearing, which began at around 11 a.m., was still going on. Since the City Council chambers were filled with around 200 people, some of them standing, the rest of the attendees, like Steinberg, had gotten herded into an overflow room. Had she been able to give testimony, Steinberg said she would have focused on how, when residents’ use of Airbnb started to take off in 2011, it coincided with an uptick in bedbug infestations in Stuy Town buildings where short-term rentals were taking place. Following meetings with company reps alongside reps from CWCapital, illegal hotel activity in the complex has decreased, though it hasn’t ended completely. One tenant who did get to testify at the hearing was West Side resident Audrey Smaltz, who said she’d lived in a penthouse apartment in her building since 1977, always feeling safe with the same neighbors for many years. But in recent years, this changed, with the owner renting vacant units as hotel rooms. “The entire fourth floor is for short-term rentals and (there are) many units on other floors,” she said. As for Airbnb supporters, not too many had signed up to testify at the hearing, which Hantman had explained as being because they’re working people who can’t afford to wait around five hours. “They have jobs; they have no voice right now,” he said. However, politicians seemed less than sympathetic about the plight of New Yorkers resorting to home-sharing to help pay their own rent. Council Member Corey Johnson, who represents Greenwich Village, said he lives in a tiny studio apartment for which “the rent is too damn high,” but added with what New Yorkers pay in rent, they should have the right to not be surrounded by transients. Another Council Member, Robert Cornegy of Brooklyn, asked Airbnb for their revenue in 2014 and projected revenue for this year, which Hantman said he wouldn’t be allowed to provide. “I’ve got to FOIL that?” Cornegy asked him. “You’ve got to go to our finance people,” Hantman responded. When questioned about how the attorney general had found that 72 percent of Airbnb rentals to be illegal, Hantman said this was “inaccurate,” especially since Airbnb has since removed thousands of listings by users who don’t provide a “quality” experience. In response, Williams blasted Hantman for mentioning the word “quality” more than once when discussing hosts’ renting practices. Hantman had argued that very few Airbnb rentals turned out negatively out of two million people using the service to stay in New York over the past few years. He also said 1400 of those people had found places to stay when they were impacted by Hurricane Sandy. Council Member Helen Rosenthal, who represents the Upper West Side, asked about quality of life issues related to short-term rentals, when Hantman mentioned Airbnb has a neighbor hotline that can be called if a resident wants to report problems with an Airbnb guest or host. Rosenthal challenged this, asking “How would they know?” if a neighbor is in fact an Airbnb user as opposed to a client of some other home-sharing service or that the number even exists for the reporting of such issues. When accused of putting tenants at risk for eviction for hosting, Hantman said the company does have a pop-up on its site for New York City users warning them hosting may not be legal in their buildings or allowed in their leases. One host there to support the company, Lee Thomas, told the panel about how after he became ill with cancer, his high-paying career on Wall Street came to an end and the only means he had of supporting himself was by renting out his getaway cottage. In response, Williams told him the illegal hotels law didn’t even apply to him because it applies to multi-family buildings while his property was just a two-family one. Along with Airbnb, also getting quite a bit of criticism was the city office tasked with investigating illegal hotel activity, with Council members accusing its director of not doing enough or having the resources needed to adequately deal with the ongoing problem. Elizabeth Glazer, the director of the Mayor’s Office of Criminal Justice, kept saying she believed her office was doing a good job at keeping up with complaints, but politicians countered that the system shouldn’t just be complaint-driven. Rather, Rosenthal said, it should be proactive enough to keep up with any suspicious short-term rental listing. This was after Glazer had said her office last year had received 1,050 illegal rental complaints, up from 712 in 2013. In response, Rosenthal told her there were over 2,000 listings in Council Member Antonio Reynoso’s district in Brooklyn alone. “I publicly take issue with what you’re saying,” said Rosenthal. When asked how the office investigates tips of illegal activity, Glazer said there is “an array of techniques that we use,” but she declined multiple times to say what they were. He told Glazer about how he’d seen an inspector show up at an address where there was suspected illegal activity and knock once. When no one answered, the inspector knocked again. Then, after a few minutes more, when the door remained unanswered, he was gone. Also sitting in at the hearing were the authors of the 2010 illegal hotels law, State Senator Liz Krueger and Assembly Member Richard Gottfried. Krueger said what she hoped would come out of the event would be more and not less enforcement of the law at the city level. “Without enforcement at the local level, it’s as if we didn’t pass it,” she said. According to Glazer, out of the 1,050 complaints received in 2014, 883 resulted in inspections and 495 violations being issued. Council Member Dan Garodnick, who was not at the hearing since he is not a member of the housing committee, later said he does support “more aggressive enforcement” of the law. On November 7, Governor Andrew Cuomo signed into law a bill benefiting veterans that was written by a Stuyvesant Town resident. 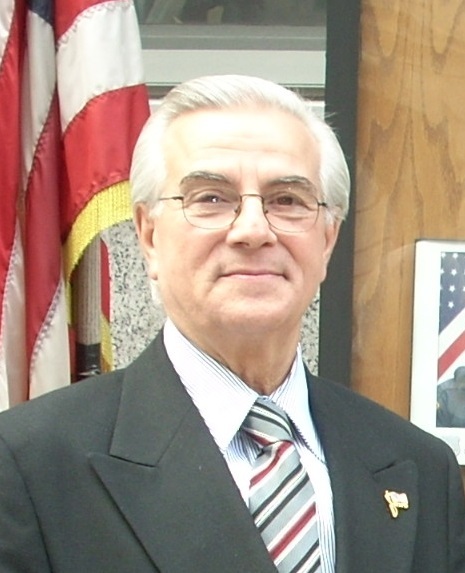 While he doesn’t work in politics, the resident, Jerry Alperstein, is a Korean war vet and also the New York Department Legislative Committee Chair of the Jewish War Veterans group. He’d been researching veteran-related legislation in 2010, when he discovered a discrepancy in a 2005 law that left some city employees who’d left their jobs for military duty ineligible for an existing pension credit. The discrepancy in the 2005 law came from most – but not all – city employees called to active military service between September 11, 2001 and December 31, 2005 being able to get the pension credit. This was tied into a benefit program that allowed city employees called to active military service to continue receiving their full salary and benefits, including pension benefits, as long as they paid back their military pay or city pay (whichever was less) when returning to their city jobs. However, city employees who elected not to receive their city pay while on active duty were not covered by the 2005 law. Alperstein said this wound up being 60-70 people.